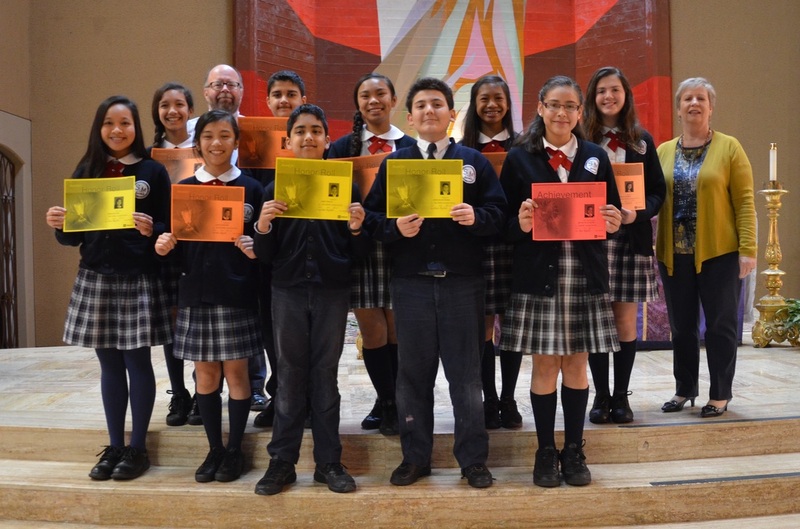 Academic awards will be presented to students in grades 6 through 8 if he/she maintains outstanding grades in the following subjects: Religion, Mathematics, Reading/Literature, English, Science/Health, History/Social Studies, Behavioral Expectations, and Learning Skills. Academic excellent students must also demonstrate and model St. Thomas More School’s Schoolwide Learning Expectations (THINK). The following criteria will be used to determine eligibility. In addition to the awards for academic excellence, one student per grade, 6 through 8, will be chosen for a citizenship award. In grades K-5, two students per grade will receive this award. Below are the criteria on which this award will be based. To calculate the GPA, find the total number of grade points earned for the following subjects: Religion, Math, Reading/Literature, English, Science, and Social Studies. Then divide the total points by 6.